John's Labour blog: What will a future Labour Government do with the NHS? 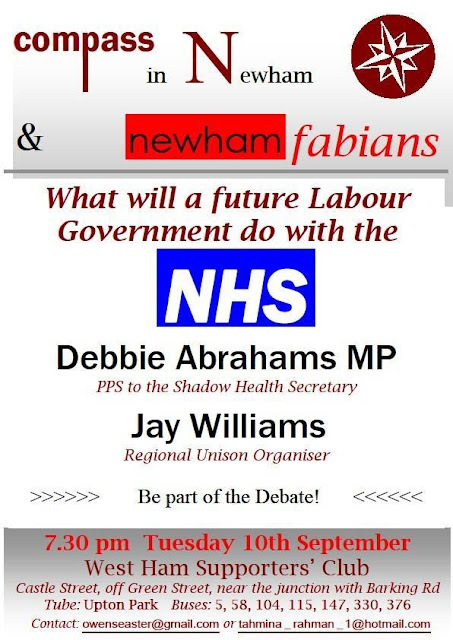 What will a future Labour Government do with the NHS? Newham Compass and Fabians will be holding this important debate on Tuesday 10 September 2013 at 7.30pm at West Ham Supporters Club. I will be at TUC congress and will miss it - which is a shame.